Lepanto spends 15 years ageing in oak barrels previously used for ageing Fino. As a result it acquires a brilliant topaz colour with gold and orange reflections. On the nose are notes of caramel and vanilla together with dried ?almonds. Dry and delicate on the palate, with hints of nuts. 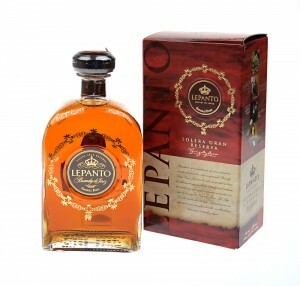 Lepanto Brandy spends 15 years ageing in oak barrels previously used for ageing Fino.